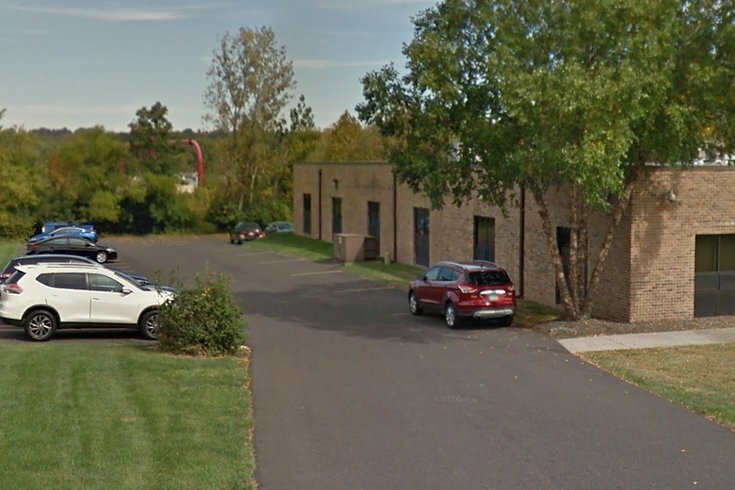 A woman's body was found in the rear parking lot at Vector Security at 5125 Campus Drive in Whitemarsh Township overnight Friday, authorities said. A Philadelphia man was arrested and charged with first-degree murder in the death of a woman in the parking lot of a Montgomery County business, but not before he tried to set himself on fire, according to authorities. Lawrence Maurice Crawley, 33, of the 800 block of North 13th Street in Fern Rock, was charged in the overnight Friday killing of Angela Maya Stith, 33, also of Philadelphia, outside of Vector Security in Whitemarsh Township, where the victim worked. Authorities said Stith had been stabbed and run over by a vehicle in the rear lot of the business at 5125 Campus Drive, off Butler Pike. According to an affidavit of probable cause, Crawley's mother told detectives that her son had previously dated Stith and that he was recently arrested for assaulting Stith in the "Poconos." She allegedly told investigators that her son called her at about 2:30 a.m. Friday and told her, "Mom, I'm sorry I killed her, I ran over her and I killed her, I'm sorry, Mom." Detectives confirmed that Lawrence Crawley was arrested in May by the Pennsylvania State Police, Troop F, Milton in Montour County, after an assault and strangling of Stith. On July 18, Crawley pled guilty to simple assault in that case, the affidavit said. Surveillance video showed Stith leaving through the rear door of Vector Security at 2:13 a.m. Friday and walking toward her vehicle, officials said. The video shows her being chased by a man, who then attacks her, officials said. Stith's co-workers were trying to help her when Crawley allegedly drove his blue, 2009 Chevrolet Avalanche SUV over the victim several times, before fleeing the scene, authorities said. Crawley was listed as Stith's emergency contact at the business, the affidavit said. The SUV bearing Florida tags was spotted traveling west on the Pennsylvania Turnpike in Somerset County by Pennsylvania State Police troopers. As troopers stopped and approached the vehicle, Crawley set himself on fire inside the SUV. He was transported to a local hospital, authorities said. Stith died of combined blunt and sharp force injuries suffered in the attack according to an autopsy performed Friday by forensic pathologist Dr. Kahlil Wardak of the Montgomery County Coroner's Office, according to authorities, who said the manner of death was ruled homicide. The pathologist noted the recovery of a knife blade in Stith's back. The Montgomery County Detective Bureau and Whitemarsh Township police are conducting the investigation, officials said. The Campus Drive building is the Philadelphia-area office of Vector Security, a home and business electronic security provider with locations in 12 states. The parking lot backs up to the Pennsylvania Turnpike, near mile marker 334.